PennsylvAsia: Third Madoka Magica movie to make Pittsburgh debut at Hollywood Theater on December 6. Third Madoka Magica movie to make Pittsburgh debut at Hollywood Theater on December 6. 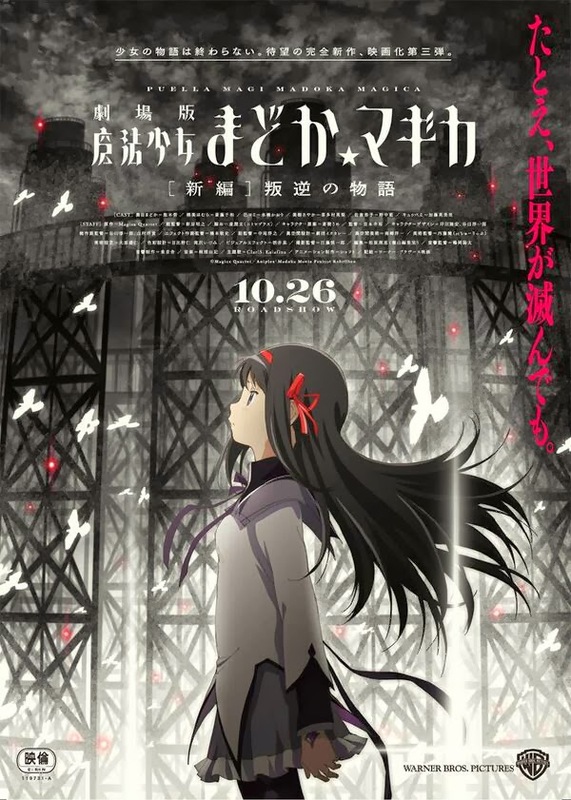 The third movie in the three-part Madoka Magica series will premiere in Japan on October 26. U.S. showtimes for Rebellion (叛逆の物語) were announced yesterday, and Pittsburgh is one of several cities to have December 6 screenings, the second-earliest date in the country behind the December 3 premiere. Rebellion will debut in the area at the Hollywood Theater in Dormont (map) on the 6th, with initial screenings at 7:00 pm and 10:00 pm. The Hollywood Theater also held the regional debuts of parts one and two in December 2012, and will show both again on December 5 at 7:30 pm, according to the movies' U.S. distributor's website.